The Bible software showdown continues! When I read Rod Decker's article on finding complex sentences in Mark using Accordance, a spark was kindled. But not having a particular interest in complex sentences, in Mark, or in Accordance, it faded. 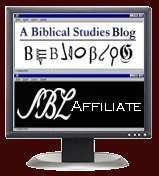 When I read MVGH's article on doing the same search in Bibleworks, I knew that I need to try my hand at it in Logos. Even though I've heard rave reviews about using Bibleworks for biblical research, my only experience with it was just after I completed my M.Div. in 1992. At the time I was a poor struggling graduate and couldn't justify the expense of Bible study software. When I had money a few years later, I purchased Logos Bible software and have since made a significant investment in adding library resources. So I want to make it work. "I do think it could be done with a graphical query though, since Logos also allows crossing verse boundaries." My method was to use a graphical query to find any two words in the same sentence separated by 50 or more words. This search is easy and fast to set up, it runs fast, and it produces accurate results that are easy to interpret and screen. If you just want the results, the search returns Mark 2:25-26; 3:7-8; 4:31-32; 5:2-4; 5:25-27; 6:7-9; 7:2-5a; 10:29b-30; 10:32b-34; 13:14-16. My method described above avoids all of these problems except for the "word" count problem inherent in Logos. MVGH also highlighted the way that Logos handles the semi-colon, which will affect the results returned. Very elegant. Wild card 'word' searches in Libronix normally take forever, so it appears that the Sentence constraint works quite efficiently. Note that it works with most flavours of NA27/UBS4, and UBS4 has more results as semi-colons are ignored. Mark 2:6-11; 2:24-28; 3:14-19; 7:2-7; 14:12-15. The longest is 7:2-7 followed by 2:6-11. Decker (http://ntresources.com/blog/?p=298) identified the longest, in order, in Mark as: 3:14–19; 5:2–5; 5:25–28; 7:2–5; 10:29–30; 10:32b–34; 13:14–16. Your results, Dave, appear to ignore question marks as well as semicolons. Decker's longest are presented in canonical order. I can replicate ALL his results in UBS4 except for Mk 7:2-5, where UBS4 has a semi-colon after v5 and lists vv 2-7. UBS4 also lists Mk 2:6-11 (100 words) and Mk 2:24-28 (88 words). Decker may not include them because the Accordance GNT-T(?) has different punctuation or sentence structure, but they are definitely in my top 7! The word counts are manual and Mk 7:2-7 is 121 words! UBS4 has slightly different punctuation to NA27, but none of the results include a Question Mark. Perhaps the Accordance GNT has question marks where UBS4 produces the results in chapter 2? I think the problem comes with comparing apples and oranges... or in this case, Greek punctuation and English punctuation. I also found that UBS4 produced far different results. As I investigated several examples, I realized that the UBS4 sentences extend through Greek semi-colon (English question marks). See, for example, Mark 2:6-11. It is comprised of 4 questions. The search differences arise from tagging differences, highlighting the fact that it is imperative that one knows the tagging scheme, that it has been applied consistently to the text and that results are manually verified.